[PDF] The Men Who Would Be King: An Almost Epic Tale of Moguls, Movies, and a Company Called DreamWorks | Free eBooks Download - EBOOKEE! Description: For sixty years, since the birth of United Artists, the studio landscape was unchanged.Then came Hollywoods Circus Maximuscreated by director Steven Spielberg, billionaire David Geffen, and Jeffrey Katzenberg, who gave the world The Lion Kingan entertainment empire called DreamWorks. Now Nicole LaPorte,who covered the company for Variety, goes behind the hype to reveal for the first time the delicious truth of what happened. Readers will feel they are part of the creative calamities of moviemaking as LaPortes fly-on-the-wall detail shows us Hollywoods bizarre rules of business.We see the clashes between the often otherworldly Spielbergs troops and Katzenbergs warriors, the debacles and disasters, but also the Oscar-winning triumphs, including Saving Private Ryan.We watch as the studio burns through billions, its rich owners get richer, and everybody else suffers.We see Geffen seducing investors likeMicrosofts Paul Allen, showing his steel against CAAs Michael Ovitz, and staging fireworks during negotiations with Paramount and Disney. Here is Hollywood, up close, glamorous, and gritty. 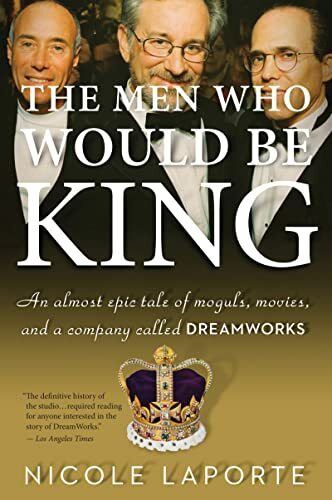 No comments for "[PDF] The Men Who Would Be King: An Almost Epic Tale of Moguls, Movies, and a Company Called DreamWorks".